And guess who won? Yep, you guessed it…the tiny little girl. 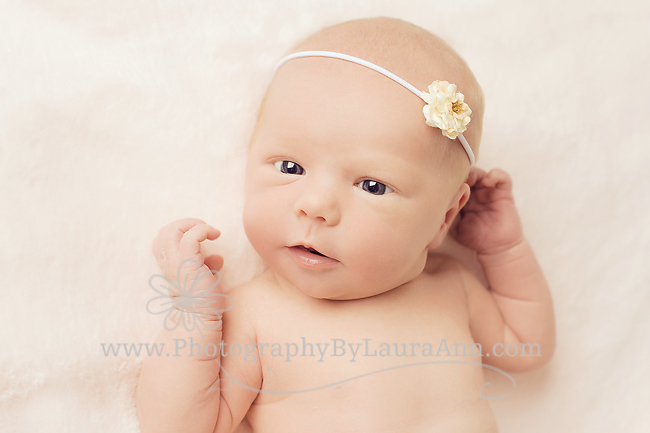 I rarely have to go back and do a re-shoot on a newborn session. Rarely. Even the tougher sessions where it takes quite a bit longer for baby to settle, I can still get a lot of beautiful images. But this time, this little one would have none of it. Oh she is cute though. Later this week I will go back armed with a plan so this photographer can win the war against this perfect, tiny, sweet, little girl. Until then, here is the one image that I was able to capture that I love. Stay tuned and next week expect a great update with many more photos. I will be victorious! LOL.